The United Nations’ mission in Mali is using RADA radars to protect its bases by providing early warning against incoming projectiles. This is according to Jane’s Defence Weekly, which quoted an industry source as saying that three Multi-Mission Hemispheric Radar (MHR) radar systems were in November and December 2018 set up at United Nations Multidimensional Integrated Stabilization Mission in Mali (MINUSMA) bases. 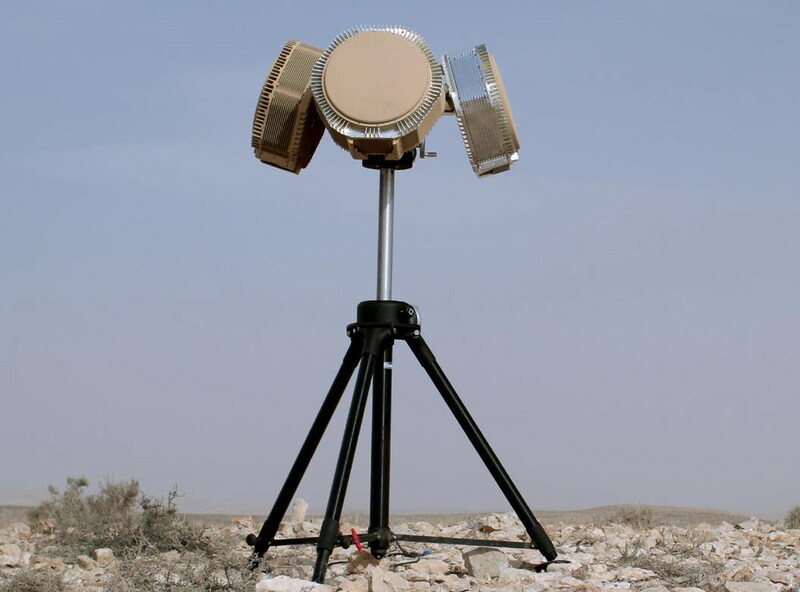 According to RADA Electronic Industries, the MHR radars are software-defined, active electronically scanned array (AESA), configurable radar platforms able to provide active protection, hostile fire detection, counter-UAV, all-threat air surveillance, 3D perimeter surveillance, and more. Each system consists of four MHR radars mounted on a tripod to provide 360° coverage of the surrounding airspace. The MHR radar systems will detect, track, classify and locate all types of direct and elevated projectiles, including: rockets, artillery, mortars, anti-tank guided missiles, rocket-propelled grenades, small arms and more. The system will also classify the threats, calculate the point of origin and point of impact with tactical accuracies, display tracking and provide audible and visual warning/alert, as well as data over Ethernet to external C4I systems for alerting the threatened forces. Germany had previously deployed its Modular, Automatic and Network capable Targeting and Interception System (MANTIS) counter-rocket, artillery and mortar defence (C-RAM) system to Mali. The German Ministry of Defence (MoD) said MANTIS became operational on 24 January 2018 when it began protecting the German Camp Castor and the adjacent United Nations camp in Gao as part of the MINUSMA mission in Mali. MANTIS provides early warning of incoming projectiles and gives the impact point of incoming rounds as well as the point of firing, allowing for soldiers to be sent to the launch site. Depending on the distance, an early warning time of 20 to 30 seconds is created, in which soldiers can move to safety, the Bundeswehr said. MANTIS consists of sensor units, a fire control centre and several 35 mm turrets but in Mali, only the sensor units and control system are used, giving it sense and warn capability only. Some 100 peacekeepers have died in Mali, where France launched a military operation in 2013 to push back Islamists who a year earlier had hijacked an ethnic Tuareg uprising in the north of the country. In the latest violence, ten UN peacekeepers were killed and several were wounded while repelling an attack by armed assailants near a village in northern Mali on 20 January, the West African nation’s UN mission said. The clash near Aguelhok occurred early on Sunday following an attack “by assailants in many armed vehicles,” MINUSMA said in a statement. A 2015 peace deal signed by Mali’s government and separatist groups has failed to end the violence. Islamists have also staged assaults on high-profile targets in the capital, Bamako, and in neighbouring Burkina Faso and Ivory Coast. French forces intervened in Mali in 2013 to drive back fighters who had hijacked a Tuareg uprising a year earlier, and some 4,000 French troops remain there. The UN Security Council then deployed peacekeepers, which have been targets of a concerted guerrilla campaign.